Llamas aren’t just adorable, majestic creatures. They’re also a big help to people all over the world. National Llama Day is the perfect day to appreciate one of the fuzziest farm animals around. Did you know they’re also smart, social and produce very soft wool? Some live as long as 30 years! Whether you’re cuddling up with your favorite llama or sharing some fun llama facts with your friends and family, December 9 is your day to celebrate. The U.S. had banned llama imports in the 1930s due to disease outbreaks. The ban was lifted in 1984 for Chilean llamas, and the llama love keeps on growing! Archaeologists have identified llamas as the predominant veggie-eating creature in South America during this time. Whether you're planning a children's birthday party or your wedding, llamas are sure to liven up any occasion. Lots of companies are ready to rent out their llamas for the day. Need a new salt shaker? Want to add some funky new art to your home? Search online for some unique llama-themed trinkets. They're one of the most popular animals at petting zoos because of their soft fur and gentle nature. Take some time to get up-close and personal with a local llama. ​Llamas will come running to the sound of their owner's voice, and they'll gladly cozy up for a nice hug. Llamas make a lovable addition to almost any farm. 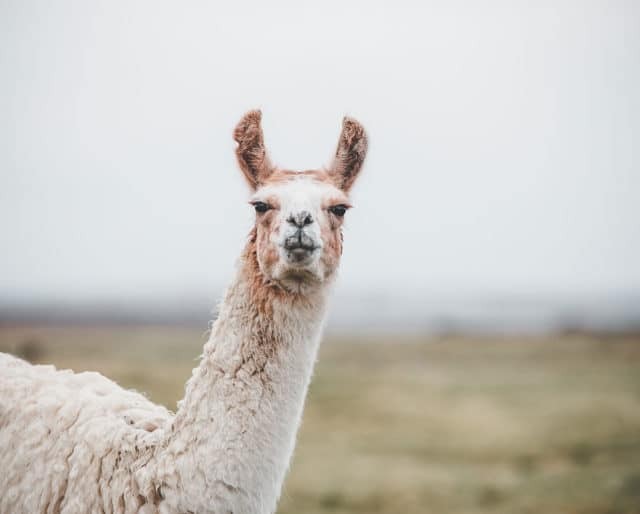 In fact, farmers across the country have been adopting llamas since the 1980s, and they show no signs of slowing down any time soon. Llamas are known for enjoying human interaction. They can even go on outings with you! Naturally curious and gentle, llamas add joy to everyone around them. From birthday cards to embroidered pillows, llamas have been trending. National Llama Day is the perfect excuse to break out your "No prob-llama shirt."